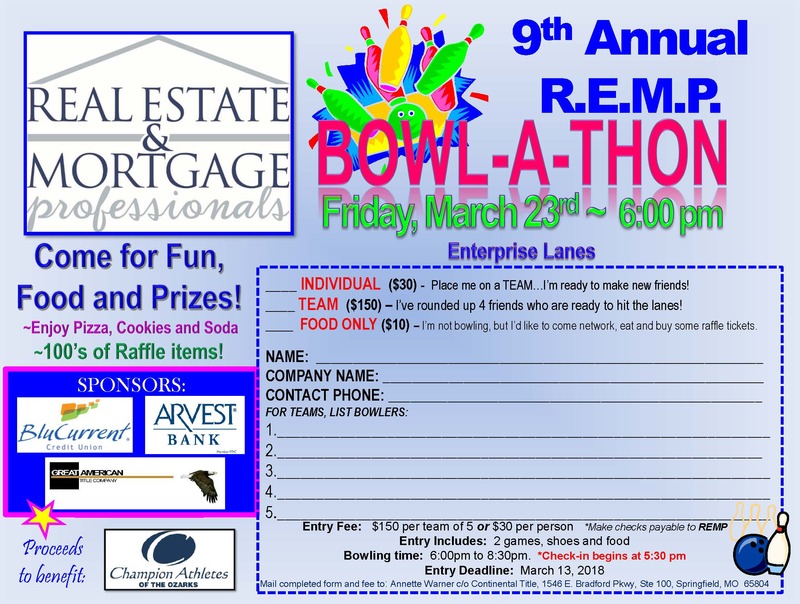 Attached is YOUR entry form to get signed up for our Annual Bowl-A-Thon. 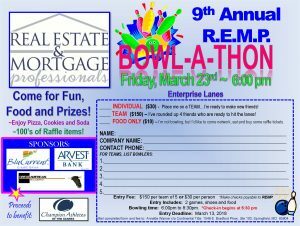 It will be held at Enterprise Lanes on Friday, March 23rd starting at 6:00pm. A big shout out to BluCurrent Credit Union, Great American Title and Arvest Bank for sponsoring the event. When you see Deanna Downs, Dani Stoddard and Kelsey Grubaugh, be sure to let them know you appreciate them supporting this event! This is a BIG charity event we do each year. Proceeds will go to Champion Athletes of the Ozarks. If you’ve been… you know how amazing this night can be!